Just because an interaction or transaction is happening by post doesn’t mean it has to be slow or difficult. 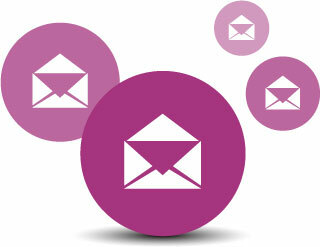 Our Mail Retainers pride themselves on providing super fast and efficient mail based communication. They love working fast, as well as gathering and sharing intelligence with your internal teams. Parseq presents a true multi-channel digital mailroom. We streamline the handling of business correspondence and forms that flow into, through and out of our client’s organisation. All of your incoming mail is handled on the day of receipt. Same day opening means that we can distribute your mail earlier so that the downstream processes can be handled much sooner than that from paper mail. Automated classification and data extraction also speeds up the time to deliver to downstream processes. Using Parseq’s Multi channel mailroom can reduce the time taken to respond. It is perfectly possible for complex requests to be handled involving telephone calls to customers, end to end processing and a conformation letter or email to be handled all in the same working day.